Consult our Myths of the World: Chinese Healer Walkhthrough whenever you're unsure of your next move as you attempt to thwart the plot to overthrow the emperor. Danger lurks around every corner, so don't hesitate to use our simple solutions to puzzles, our custom-marked screenshots, and our precise instructions to keep you safe from harm as you explore this exotic hidden object adventure game. So, you know I can't help myself right? I'm a nerd for all things involving myths and legend, and when I started playing the game Myths of the World: Chinese Healer, I couldn't stop myself from scouring the Internet searching for some remnants of myth that could have been the impetus for the story. Now, if it had been anything but Chinese myth... I probably would have fared better. I'm kind of at a loss when it comes to legends of the orient. Greek? No problem? Norse... hell yeah! Irish and Scottish... bring it! But Chinese... well I'm familiar with the legend of Mulan (the real one), and I've read The Woman Warrior... but that's really all I got. So off I went searching for Myths of the World: Chinese Healer... I tried searching for the main character's name... and that lead me to Daiyu, a character in the book Dream of the Red Chamber, a sickly girl who is an extremely accomplished poet and musician... well that didn't really fit... although I think I'll put that one on my reading list. Then I searched for woman Chinese Healer... and I think this is the closest I got. I found the legend of Mazu, the Chinese goddess of the sea who was once a young girl named Lin Mo who had special powers and she was known as a healer with the ability to quell the stormy seas. Yep... that's as close as I got... I don't know if it's where the legend came from at all... but I'm going to pretend it is and go with it. Now, that I got that little piece of my obsessive nature out of the way, I'll get to the point of the post... we've just put the finishing touches on our Myths of the World Chinese Healer Walkthrough and it's ready and waiting for you to enjoy. 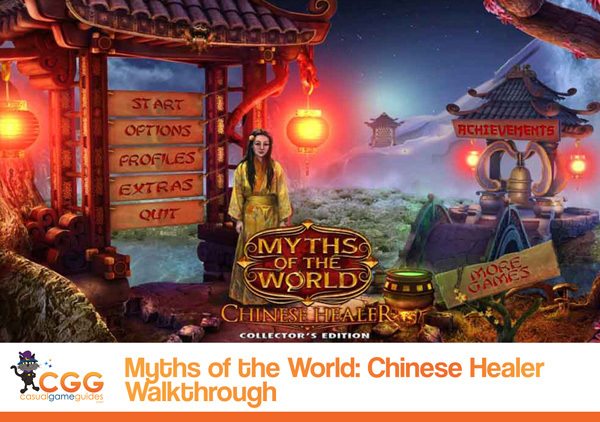 This Myths of the World Chinese Healer Walkthrough has it all! Precise chapter-by-chapter instructions on what to do, as well as tons of custom screenshots marked up to show all the key item locations. And if you're having trouble with any of the puzzles, don't worry, we've got those covered too... plenty of solutions to all the puzzles you'll encounter as you play, laid out in simple easy-to-follow directions. It's all here for you in this pretty exciting, and, dare I say, unique (hey there's no ghosts or detectives in this one!) hidden object game. 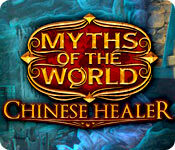 So check out and enjoy our Myths of the World: Chinese Healer Walkthrough!